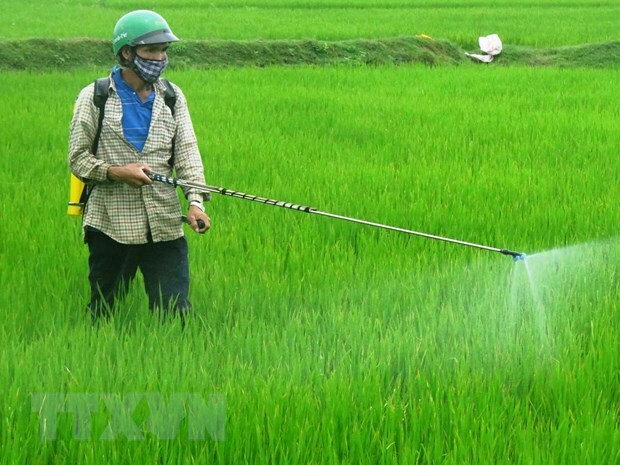 HÀ NỘI — The Ministry of Agriculture and Rural Development yesterday banned the use of glyphosate, an active ingredient in many weed controls. The ministry’s Plant Protection Department said the ban was made in line with Vietnamese laws and international regulations as well as with the country’s socio-economic conditions. The International Agency for Research on Cancer and other research institutes classified glyphosate as “probably carcinogenic to humans”, according to the department. Glyphosate has been widely used worldwide for its high efficiency in weed controls over 40 years. In Việt Nam, the ingredient was registered for use in 1994 and since then, 104 commercial products containing glyphosate have been registered. In April 2016, the ministry halted new registrations of the substance in the country and collected information and scientific facts relating to the use of the ingredients’ on people’s health and the environment. In response to the ministry’s move, Bayer, a science company, said in a statement yesterday that the US Environmental Protection Agency (EPA), European Food Safety Authority (EFSA) and regulatory authorities in Canada, Japan, Australia, Korea, Brazil, and elsewhere routinely review all approved pesticide products and have not found evidence that glyphosate is carcinogenic. Bayer said it was not aware of any new scientific assessment undertaken by the Government on which the decision was based. The company said the decision was reportedly driven by developments in litigation taking place in the US and this litigation does not change the extensive science and conclusions of regulators worldwide that support the safety of glyphosate-based herbicides, it said.